This setting uses jazz harmonies in a traditional organ and cantor setting. It could easily work with a jazz combo as well. Be filled with the Spirit, addressing one another in psalms and hymns and spiritual songs, singing and playing to the Lord in your hearts, giving thanks always and for everything in the name of our Lord Jesus Christ to God the Father. We are encouraged to express our gratitude through music. Studies actually show that expressing thanks leads to happiness. Music also has the power to change your emotions. The combination of expressing gratitude in song would seem then to be very potent and therefore very fitting of our worship of God the creator of all. Aside from these bulletin columns, many of you only hear me speak through music. While I hope it is apparent in my song, I’ll take a moment to express my thanks to you for allowing me to serve as the music director here. The organ and building are a fabulous inspiration and definitely contribute to my happiness. For the instrument and the beauty of this Cathedral I give thanks. I am also thankful for all the others who make music with me in this space. Not just the choir, cantor, and instrumentalists, but all of the people in the pews that sing. One of my greatest joys is congregation that sings enthusiastically. For all the people who make music in this space, I give thanks. But the reading today doesn’t restrict the instruction to only trained musicians. All of us are to be grateful and address one another in song. My hope is that all of you who gather here to worship raise your voice in song for the psalms, hymns and acclamations that we sing, but if you truly enjoy singing or playing a musical instrument, I’d like to invite you to share that joy by becoming part of the designated music ministry here. While being able to read music might be an advantage, it is not a requirement for joining. (That’s one of the reasons we have rehearsals!) Call me (410-464-4020), email me (gosborne@cmoq.org), or speak to me after Mass if you enjoy making music and are interested in giving thanks always in song. Each conference of The Hymn Society attempts to draw upon local resources for ideas and conference topics. This year’s conference was in New Orleans, so was flavored with a lot of jazz music and discussion about the use of jazz, gospel, and spirituals in worship. Jazz music expects a lot of improvisation from the performers, and one of the workshops I attended looked at how this musical creativity could be carried over beyond the music into how we worship. A performer in a jazz ensemble has to listen and be aware of what the other players are doing. I wrote about this a couple of weeks ago when I compared participating in Mass to driving. Jazz performers often read from a lead sheet, which will give minimal information about the piece of music and will serve as the guide for what gets created. The rest must come from the interaction between the players. The ensemble will fall apart if one of the players stops paying attention to the others. In order to be able to create music in the moment, it is most helpful to know the other players. To improvise requires making an individual statement. This requires courage on the part of the speaker (musician) and will happen most naturally when there is trust in the room. Do you get nervous when you have to speak to a new group of people? How much more comfortable are you speaking to familiar friends and family? The same idea holds with a jazz group. If the musician knows and trusts the other players (and the audience), then he or she can be free and truly creative in his or her musical expression. An unresponsive audience or group of players can lead a jazz musician back into a comfort zone of trite and unimaginative music that becomes dull and boring for everyone involved. Singing is making a personal statement. Even if you are not required to improvise, using the voice requires a personal commitment and some level of trust in the room. Instrumentalists can pass problems off to the instrument, but the voice is part of ourselves, so any critics of our sound become very personal judgments. I would guess that most people are willing to sing ‘Happy Birthday’ in a group of friends and family because there is trust in the room. What can we do to build trust in the room here at the Cathedral so that everyone feels comfortable singing their faith in worship? Celebrities often have large crowds that follow them. In today’s readings, both Elisha and Jesus have a large group following them. In our modern times, we count followers on Twitter and likes on Facebook to establish celebrity status, but what sort of nourishment do we get from these modern-day stars? One of the advantages of attending conferences is being able to meet some of the current celebrities. While church music gatherings may not attract much attention from popular media, each organization has its own set of current rock stars. One of the people I was fortunate to meet for the first time at The Hymn Society conference in New Orleans was Sr. Delores Dufner, OSB, author of the text for our offertory hymn this weekend.Sr. Delores is a member of St. Benedict’s Monastery in St. Joseph, Minnesota, and holds Master’s Degrees in Liturgical Music and Liturgical Studies. 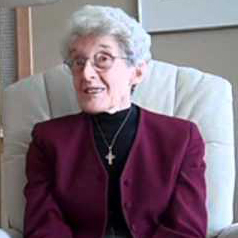 She was a church musician and teacher of school music and private piano lessons for twelve years, and Liturgy Director for her monastery for six years. She also served as Director of the Office of Worship for the Diocese of St. Cloud for fifteen years. Sr. Delores has hymns published in the United States, Canada, Great Britain, Australia, and China. She has received 45 commissions to write texts for special occasions and has published over 155 hymns, many of which have several different musical settings and appear in multiple publications. The hymn we sing today was written for the 1994 National Association of Pastoral Musicians regional convention. Probably her best-known hymn text is “Sing a New Church.” You can hear her speak about writing hymns on YouTube. I have used many of her texts, so was delighted to discover her seated next to me at one of the plenary sessions at The Hymn Society. I felt like I was meeting a modern rock star! While many of our modern celebrities may provide entertainment, rarely do they provide nourishment for our mind and soul. Sr. Delores nourishes us today with her hymn text and, at the same time, reminds us that Jesus Christ is the one who takes the little we have and multiplies it until all are satisfied. As someone who was raised in a Protestant church, one of my first impressions of the Catholic Mass was how much stayed the same every week. There were no printed worship aids at the first Catholic churches I attended, but everyone knew exactly what was next and all the proper responses. I was amazed! At first, this seemed a little rigid and monotonous to me, but as I spent more time worshiping with Catholics and studying Church documents, I came to discover the rich variety that is possible in the celebration of Mass. The General Instructions of the Roman Missal (GIRM) provide the basic instructions for how we are to celebrate Mass. Like most instruction manuals though, once we’ve found a solution, we tend not to refer to them again. Unless we encounter a problem, we generally stick to what we’ve found and don’t go looking for any other information. The GIRM gives options for what we should sing at the Entrance, Offertory and Communion. Typically the choices offered are chants from the historical books of chant (the Graduale Romanum or Graduale Simplex), another musical setting of these texts, a different Psalm with antiphon approved by the bishops, or “another liturgical chant that is suited to the sacred action, the day, or time of year, similarly approved by the Conference of Bishops or the Diocesan Bishop.” (GIRM, #48). This last option is what is most often chosen in the United States, though the choir here regularly sings the chants from the Graduale Romanum for the Entrance and Communion at the 11am Mass. What most people do not realize is that there is not any requirement or musical options given for a closing hymn at the end of Mass. After the Dismissal, the priest (and deacon) venerate the altar and withdraw. No mention of music or singing at this moment is included in the GIRM. For this reason and as an experiment in progressive solemnity, we will not be singing a closing hymn for a few weeks this summer. In addition to changing the music that we sing for the Eucharistic Acclamations to mark the seasons and relative solemnity of our celebrations, this change in the number of hymns we sing gives more variety to our Liturgy throughout the year and will allow us to focus on quality singing rather than quantity. ‘Liturgy’ was not a word that was known to me in my youth, and I doubt it is a common part of your day-to-day vocabulary. A standard dictionary definition describes liturgy as the form or set of ceremonies used by the public in a religious celebration. In my opinion, this makes liturgy very stale and rigid, sort of like the traffic code. Here are the rules and regulations. Follow them and you have a worship celebration. Anyone who has ever driven a car knows that there is a lot more to driving than simply following the rules. Driving a car requires knowledge of the traffic code, the skills and coordination to control a car, but also awareness of the other cars on the road with you. Good liturgy requires a similar set of skills. The Roman Missal and other church documents provide the traffic code for our celebrations. Being able to control the car is knowing the responses and acclamations that we say and sing as well as the postures we take during the celebration, but good driving requires cooperation with those around you. In liturgy, this means speaking at the same rate of speed and knowing when to take your turn. 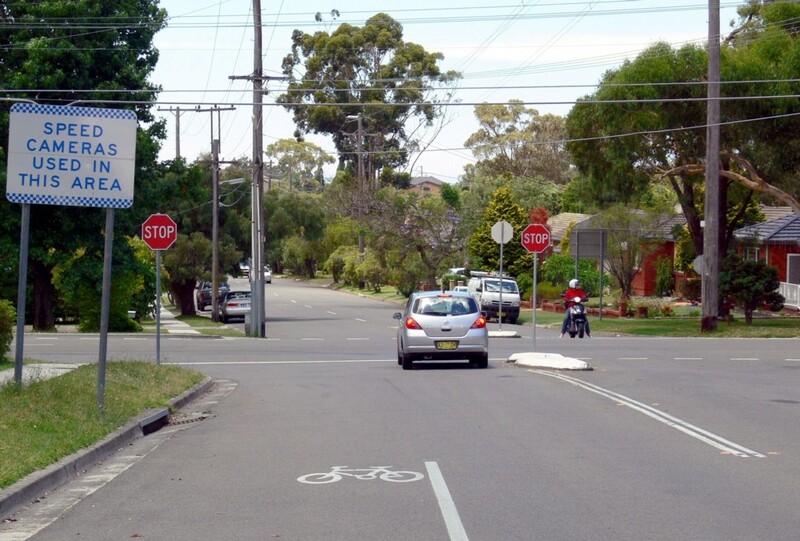 Have you ever been frustrated at a four-way stop by a driver who “politely” lets everyone else go ahead? Or how about a driver who stops, but then pulls ahead with no regard for who arrived first or which way the other cars might be going? Different people have different roles in liturgy, and in order for it to progress smoothly, we all have to be alert drivers willing to take our turn at the proper time and yielding to other drivers when the rules or flow of traffic require us to do so. The more standard Catholic definition of ‘liturgy’ derived from the Greek origins of the word is ‘the work of the people.’ Liturgy then becomes more than just reciting prayers or singing songs in worship. It is a group effort, much like driving in traffic, requiring cooperation and collaboration. I believe everyone wants to be a good driver. Do you place the same effort and attention to your actions in the liturgy? Now that summer is officially here, many people tend to think this is when the music director gets to take a break. After all, there are no choir rehearsals now. What else would he have to do? As I write this, I’m still reflecting upon last week’s Gospel and the growth of seeds. Producing the music every week is like a farmer harvesting the crop. Some seeds sprout quickly, yielding abundant fruit. Others take lots of nurture and care before any results are seen at all. My sister plants tomatoes and cucumbers every year and has a harvest in just a few months. Bamboo can seem to do nothing for years, but then holds the world record as the fastest growing plant by growing almost three feet a day when the time is right! Every farmer also has to spend time planning out which crops to plant and how to prepare the land for the next crop. Equipment maintenance needs to be done so that everything on the farm will run as smoothly as possible when the time is right. Summer is my chance to plan and prepare for the next growing season. Which crops produced good fruit? What can I do to nurture those crops for even better results next year? Are there any crops that took up resources that would better serve a different crop? Are there any new crops that I want to try? Is there any bamboo that I need to keep nurturing for spectacular growth sometime in the future? Some of the seeds I’ve planted since I arrived are two new musical settings of the Eucharistic acclamations. We added the newest Gloria and Lamb of God last week, and I was pleased to hear people singing both of these during Mass. The prelude and postlude this week will be based on the melodies from our new acclamations and is one way I hope to nurture theses seeds.